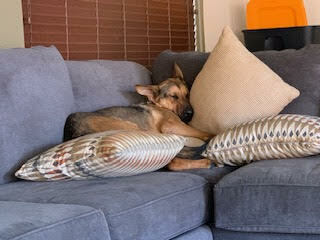 Nikki is a 4 year old German Shepherd girl who loves people of all sizes. 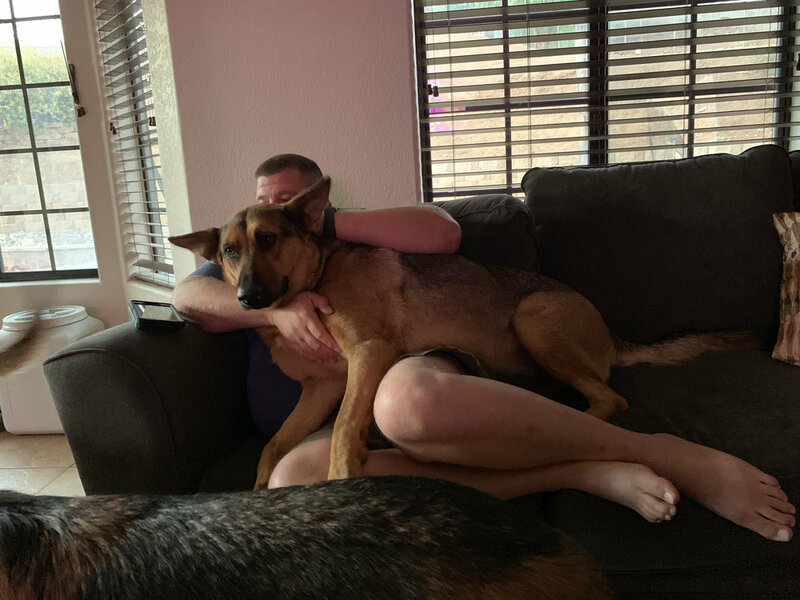 She's about 85 lbs, loves everyone (except, maybe, cats). She is very affectionate and loves being by your side— sharing a life with you is just about the best thing in the world to her. 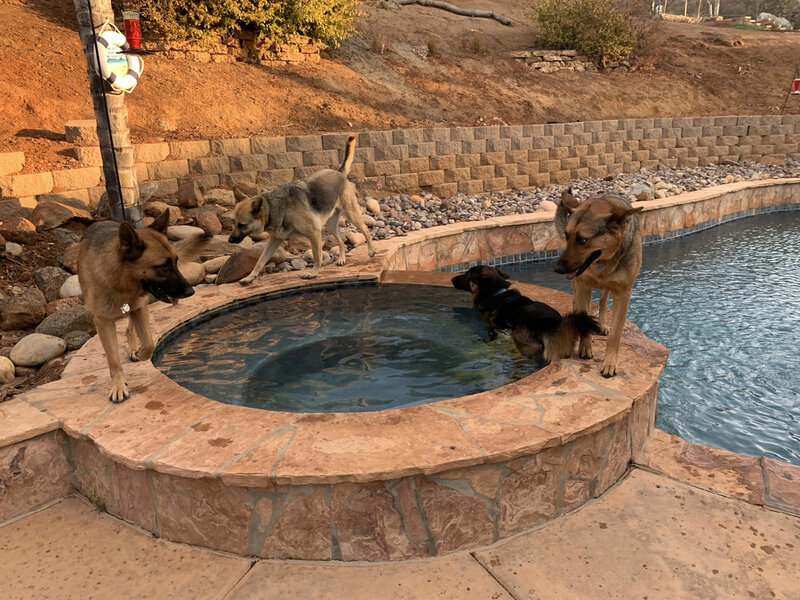 She gets along well with other dogs and loves anything related to water, from jumping in the pool to playing with the hose. She knows her basic commands, is house trained and respectful. Her owner who raised her from a puppy passed away and her companion was adopted so she is looking forward to a home of her own.